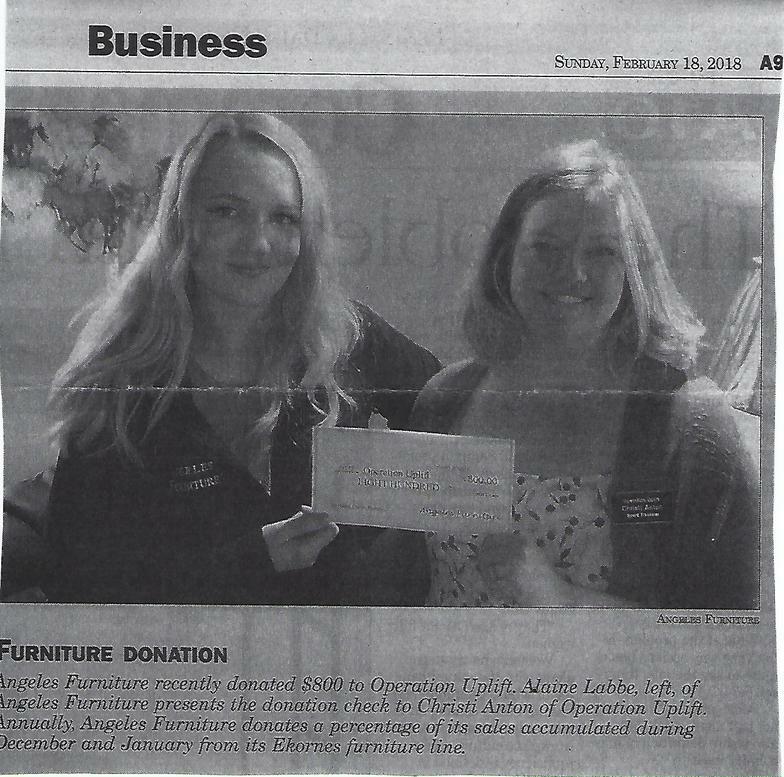 Christy Anton (Board Member) accepts donation from Lucas Chance. Lucas donated in honor of his late Grandmother, Catherine Boardman. 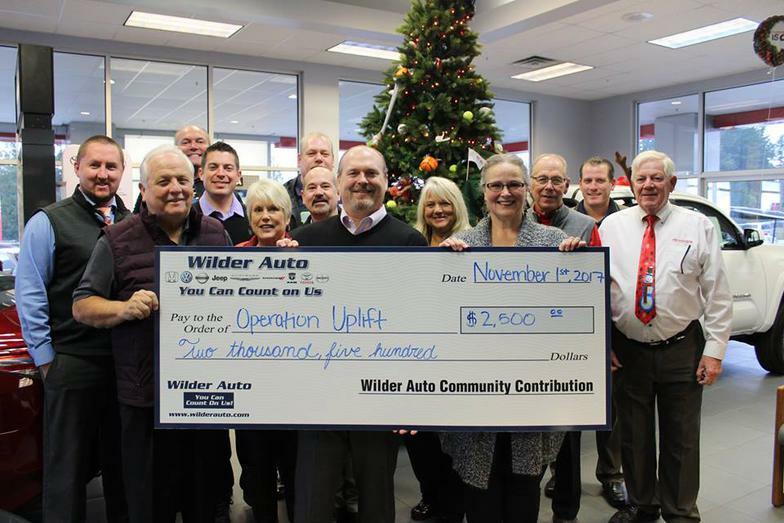 Kristi Toth, Board Member, receives a very generous donation from Wilder Auto in November 2017. On behalf of Operation Uplift and Pink-Up Port Angeles, we would like to extend sincere thanks to all who donated their time, talents, and resources last month to support those in our community undergoing life-saving cancer treatment. During Pink-Up week, June 16-23, $20,355.00 was raised for Operation Uplift through events including a golf tournament, bake sale, and quilt raffle. • Lovell Roadrunner 76 Inc.
To these and all others that contributed to make this event such a success, your generosity is greatly appreciated.